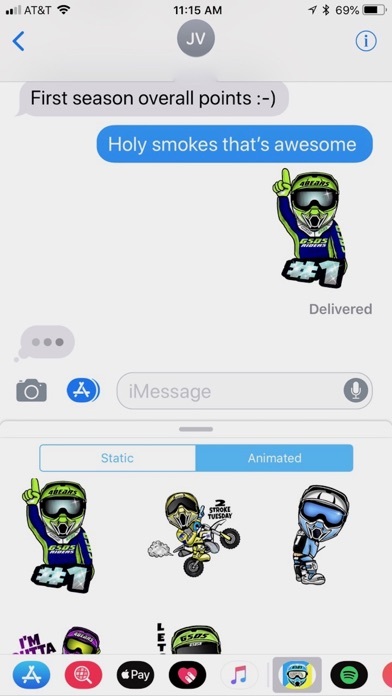 Golden State Dual Sport ( @golden_state_dual_sport_riders ) built eMotomoji's for the moto community for two simple reasons - 1. to let you express yourself using little moto dudes and gals via text, cause why not taunt or encourage your riding buddies with them and, 2.) to raise a little money to protect our public lands. A portion of our proceeds will go to support public lands, cause without them, we can only pretend to ride. Also, we will continue to grow the family eMotomoji's doing what they do, which is - hopefully bringing a smile to your face. eMotomoji's come in static or animated. The first 5, of either type, are free and then you can unlock the packs you want for .99 for static or 1.99 for animated. Enjoy and send in your ideas for expressions. Holy Crap This IS AWSOME!! I Love this app SOO MUCH!! It’s The coolest thing! 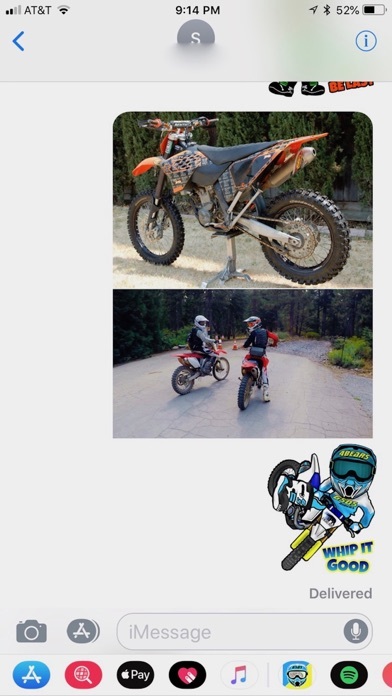 Its unusual because Offroad motorcycling isn’t that popular but when it comes to someone who loves it! And they come across something like this! Its Amazing 10/10 100/100 Great! Only thing i’d like to see! Is more seasonal Emoji’s So right now its Thanksgiving and they did add 3 But 3 emoji’s isn’t that much! We need a few more! 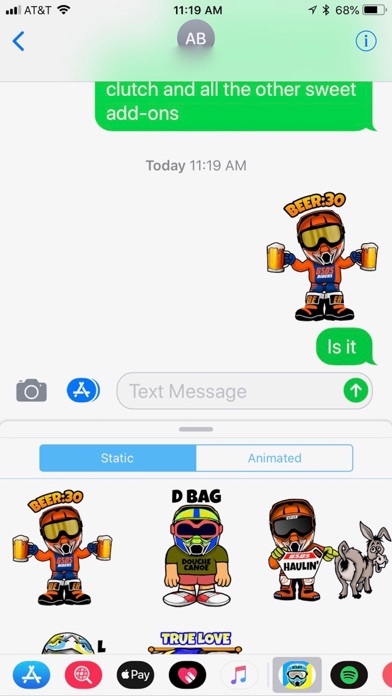 Maybe a Large pack of 20 emoji’s for $3.99 and a Small pack of 8 for $1.99 Deal! And a Few for Free! Just Some really cool stuff! I love the 3rd pack with KTM, Suzuki, Honda, Yamaha and all of those! I purchased them their really Cool! SO 5 Star Rating and a Shout out and Share to some of my Buds! LOVE IT!!!! Bring your messages to life and get this app! Such a sweet way to relay a moto message!!! Very pleased with the app. no bugs, no problems, Works flawlessly. Funny unique emojis. 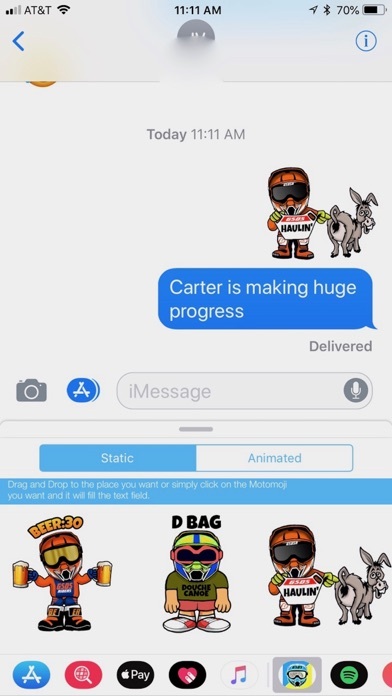 Nothing a Moto fan could ask more for in an emoji app!